significant ownership stake in the business. service excellence. The Company has bases of operations in Ft.
and a fleet of over 20 aircraft. 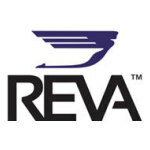 expertise and capabilities,” said Stuart Hayman, CEO at REVA. had zero safety incidents in its 20+ year history. middle-market management teams. For more information, please visit www.thebeekmangroup.com. aircraft for both travel and health insurance clients around the world.